In every Bantay Kalikasan community, People’s Organizations(P.O.) play a vital role in project implementation. Its officers and members have a crucial role to ensure their project’s success. 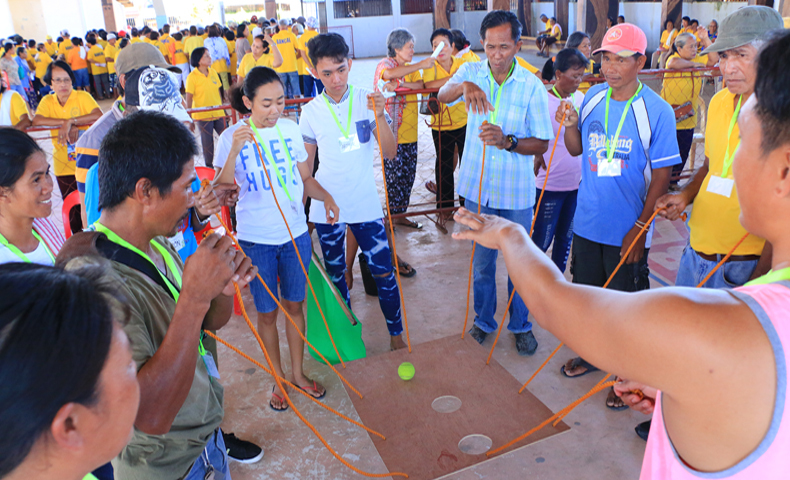 According to Jen Deomano Santos, Bantay Kalikasan’s Program Director, they aim to work with communities and groups who help each other and are committed to the same ideals and principles. “Organizing them is important in achieving our goals of journeying with them towards their empowerment and sustainability,” she explained. Part of forming people’s organizations is the Earth Warrior Training or team building session for the members of the P.O. An Earth Warrior is how Bantay Kalikasan calls its members; the defenders of the environment. Each Earth Warrior is also valued as a partner. “Earth Warrior training has helped us set the tone for the work that is involved in new projects. For many, it is the first time that they experience a team building session. Through activities, our partners are able to exercise knowledge, skills, and attitude that help them go through tasks. Their reflections after such activities provide them the opportunity to understand and underscore qualities and values needed and applicable to the project and to their life,” Santos explained. “Last year, we introduced Earth Warrior recollection where we hold annual or more regular sessions for the P.O. members to take a step back and reflect on themselves, their groups, and their projects. Values and the attitude of the partners are vital in every stage of the project,” she added. 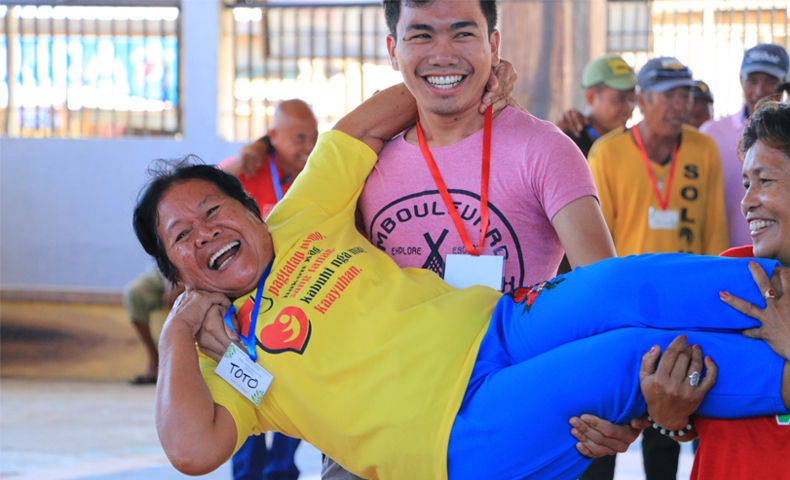 Recently, Bantay Kalikasan held its second Earth Warrior Training in Carles, Iloilo. It was a fun and uplifting activity for the group. In the end, participants became united, strong and more committed – a hopeful sight after a tragedy; people working together to stand tall once again. Seventy-four individuals from five people’s organizations (Asluman Vendors Association (AVA), Carles Tourist Boat Association (CATBAS), Bancal Fishermen's​ Association (BFA), Bancal Bay Resource Management and Development Alliance (BARMDA), Inc., and Lantangan Gabi Island Social Forestry Farmers Association and Producers, Inc. (LAGAISFFPAI) from the islands and mainland of Carles, Iloilo, participated in the training. The training was composed of games that aimed to build trust among P.O. members, camaraderie, and unity. Carles, Iloilo is one of Super Typhoon Yolanda’s (Haiyan) affected areas. During that time, boats and houses were broken. Operation Sagip of Lingkod Kapamilya distributed relief goods to affected families while Bantay Kalikasan started its livelihood projects by implementing eco-tourism projects such as the Dampa Restaurant in Brgy. Bancal and assisting the P.O. managing the Tangke Salt Water Lagoon and Parola Café and Museum in Gigantes Islands through the funds given to Operation Sagip. Bantay Kalikasan also donated a wharf in Tangke Salt Water Lagoon for the safety of the tourists. Bantay Kalikasan greatly believes in collaboration and working together with its partners. “As in nature, we are all connected. We can’t survive if we only think of ourselves. Being part of a community means you take the responsibility not just for yourself but for others as well,” Santos exclaimed.